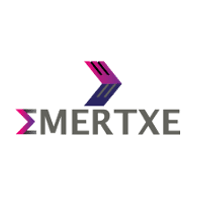 Emertxe Off Campus Drive scheduled for the role of Mentor – Technical for M.E/M.Tech 2016/2017/2018 Batch graduates at Bangalore. The detailed eligibility and application process are given in below. Note: Candidates willing to commit a minimum of 36 months need only apply. How to apply Emertxe Off Campus Drive? Interested and Eligible candidates can apply this drive in online latest by 17 January 2019 and attend drive at following venue on 19 January 2019.